Posted August 18th, 2014 by CarSoldForCash & filed under . Posted August 5th, 2016 by CarSoldForCash & filed under . Posted October 24th, 2016 by CarSoldForCash & filed under . Posted March 14th, 2016 by CarSoldForCash & filed under . Money for Our Vehicle – Thanks for Buying my Lemon! Posted June 20th, 2013 by CarSoldForCash & filed under . Posted June 19th, 2013 by CarSoldForCash & filed under . Posted March 31st, 2013 by CarSoldForCash & filed under . Posted March 24th, 2013 by CarSoldForCash & filed under . Big Tane and Car Sold For Cash – A Big Breath Of Fresh Air! Posted October 31st, 2011 by CarSoldForCash & filed under . Sell a car for cash in Sandy and Use Your Driveway Again! Posted October 31st, 2011 by sammysrefuge & filed under . 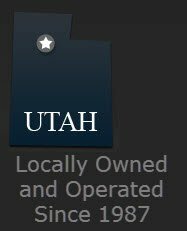 Who Will Buy a Totaled Truck in Utah? Sell a car in South Jordan Utah with Tane!! He is amazing to work with on every level. Posted October 30th, 2011 by CarSoldForCash & filed under . Posted October 20th, 2011 by CarSoldForCash & filed under . Posted October 19th, 2011 by CarSoldForCash & filed under . Posted September 13th, 2011 by CarSoldForCash & filed under . Chris says, I learned who will buy my car for cash in Bountiful! Posted August 29th, 2011 by CarSoldForCash & filed under . Who will buy my car for cash? A happy repeat customer! Posted August 25th, 2011 by CarSoldForCash & filed under . Caramia Sullen searches “Junk Car in Salt Lake City” and gets cash today! Posted July 1st, 2011 by CarSoldForCash & filed under . Posted June 13th, 2011 by CarSoldForCash & filed under . Kelsea Hutchins says, Cash for My Car and Free Towing is the way to go! Posted January 29th, 2011 by CarSoldForCash & filed under . Sara Tippets says, call to get the best price for a used car! Lowell Hansen says, It was easy to get my truck sold for cash in Utah! Posted January 7th, 2011 by CarSoldForCash & filed under . Posted December 21st, 2010 by CarSoldForCash & filed under . Posted November 24th, 2010 by CarSoldForCash & filed under . I called other places and just did not feel all that excited about the bids that I was receiving. Then i called Tane at CarSoldForCash.com and WOW what a difference on his bid! Posted November 20th, 2010 by CarSoldForCash & filed under . Posted November 16th, 2010 by CarSoldForCash & filed under . I got ahold of CarSoldForCash and they were WAY willing to work around my schedule. They were able to come on over and get it done in the last min. Not only that, their free pickup was way AWESOME! CarSoldForCash was buy far the quickest way I have ever sold my car. period! They even met with me during my lunch break! Posted November 5th, 2010 by sammysrefuge & filed under . Posted November 3rd, 2010 by CarSoldForCash & filed under .